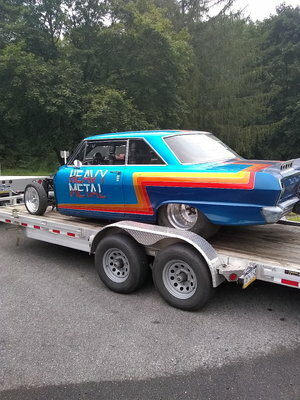 Click Here to Begin Slideshow Poll any drag race chassis shop and they’ll quickly tell you a car should be built around the wheels and tires (particularly the back ones). Sure, a good number of home built cars are constructed that way too, but plenty aren’t. If the business end of the car isn’t built around the rear rolling stock, there’s a pretty good chance the wheel fit, along with the ride height, will never be right. 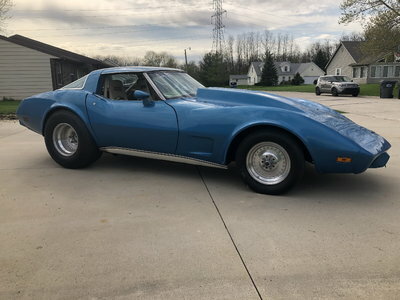 Get the ride height wrong and you’re definintely asking for suspension grief. Ditto with the wheel fit. The bottom line here is to measure everything multiple times over and then order your parts. Fair enough, but where do you begin? The place to start is the rear end housing. Each car is different; that shouldn’t be a surprise. But if you have the back wheels and tires in hand (mounted), that’s the only piece of the puzzle, aside from the car, that you’ll need. In a few cases, it’s simply a matter of jamming the wheel and tire combination up inside the existing wheel well, squaring the works up in the chassis and measuring between the respective wheel mount flanges. You’re pretty much done. But that’s the easy route. What if you have to chop the floor up, cut out the wheels tubs, narrow or fab the frame before anything fits? And what if you don’t want to cut anything up before you have a new frame or frame segment to slide under the car? After all, for some cars the floor is one of the few structural pieces that hold the body together. If you drag out the Sawzall too soon, then you have to deal with a flexing, flopping carcass. In turn, that can make a simple job like moving the body around the shop rather difficult. 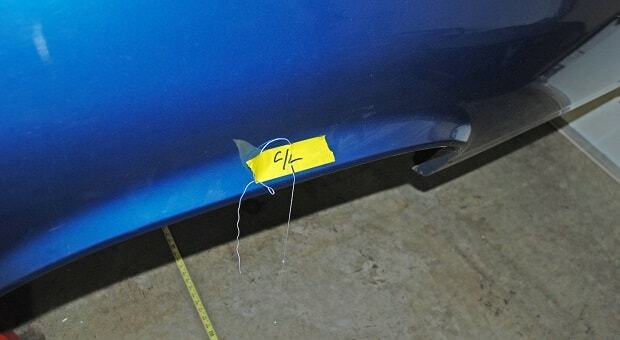 To figure out the rear width, you’ll need some simple tools. Included in the mix are a couple of plumb bobs, a tape measure and a carpenter’s square, along with a straightedge. You’ll also find that a wee bit of tape, a sharpie marker and a hand calculator come in handy too. Housing calculus isn’t tough. Here’s how to do it. First things first: See the scribbles on the tape? One of the things we’ve done is figure out the centerline of the rear axle in relation to the body. In truth, in stock form, some cars don’t really have the back axle centered in the wheel well. It’s not really difficult to nail down the the axle centerline either: Assuming everything is square, just measure between the leading and trailing edges of the lower fender and split the difference. That’s the “C/L,” or “center line,” mark on the fender. 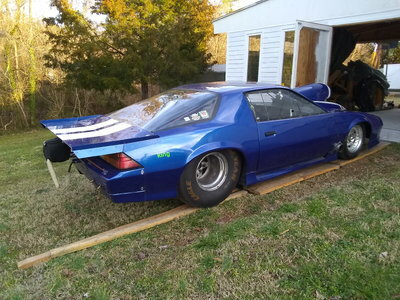 Poll any drag race chassis shop and they’ll quickly tell you a car should be built around the wheels and tires (particularly the back ones). Sure, a good number of home built cars are constructed that way too, but plenty aren’t. If the business end of the car isn’t built around the rear rolling stock, there’s a pretty good chance the wheel fit, along with the ride height, will never be right. 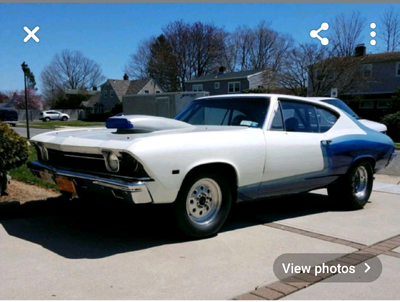 Get the ride height wrong and you’re definintely asking for suspension grief. Ditto with the wheel fit. The bottom line here is to measure everything multiple times over and then order your parts. Fair enough, but where do you begin? The place to start is the rear end housing. Each car is different; that shouldn’t be a surprise. But if you have the back wheels and tires in hand (mounted), that’s the only piece of the puzzle, aside from the car, that you’ll need. In a few cases, it’s simply a matter of jamming the wheel and tire combination up inside the existing wheel well, squaring the works up in the chassis and measuring between the respective wheel mount flanges. You’re pretty much done. But that’s the easy route. What if you have to chop the floor up, cut out the wheels tubs, narrow or fab the frame before anything fits? And what if you don’t want to cut anything up before you have a new frame or frame segment to slide under the car? After all, for some cars the floor is one of the few structural pieces that hold the body together. If you drag out the Sawzall too soon, then you have to deal with a flexing, flopping carcass. In turn, that can make a simple job like moving the body around the shop rather difficult. To figure out the rear width, you’ll need some simple tools. Included in the mix are a couple of plumb bobs, a tape measure and a carpenter’s square, along with a straightedge. You’ll also find that a wee bit of tape, a sharpie marker and a hand calculator come in handy too. Housing calculus isn’t tough. Here’s how to do it. First things first: See the scribbles on the tape? 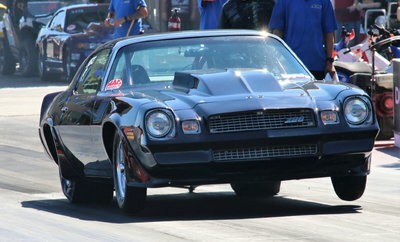 One of the things we’ve done is figure out the centerline of the rear axle in relation to the body. In truth, in stock form, some cars don’t really have the back axle centered in the wheel well. It’s not really difficult to nail down the the axle centerline either: Assuming everything is square, just measure between the leading and trailing edges of the lower fender and split the difference. That’s the “C/L,” or “center line,” mark on the fender. Drop a plumb bob down from the axle centerline on the outside edge of each fender. 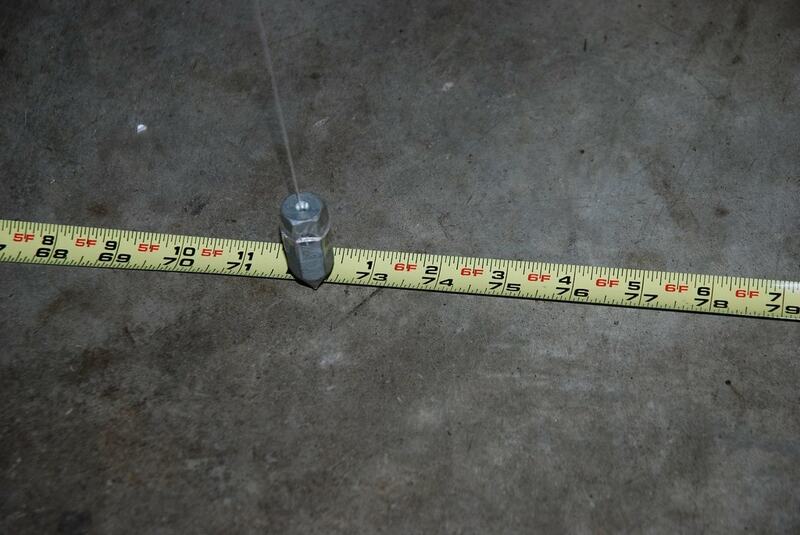 You can use an inexpensive carpenter’s plumb, as shown in the next photo. Or you can simply use a heavy nut strung through with some string. 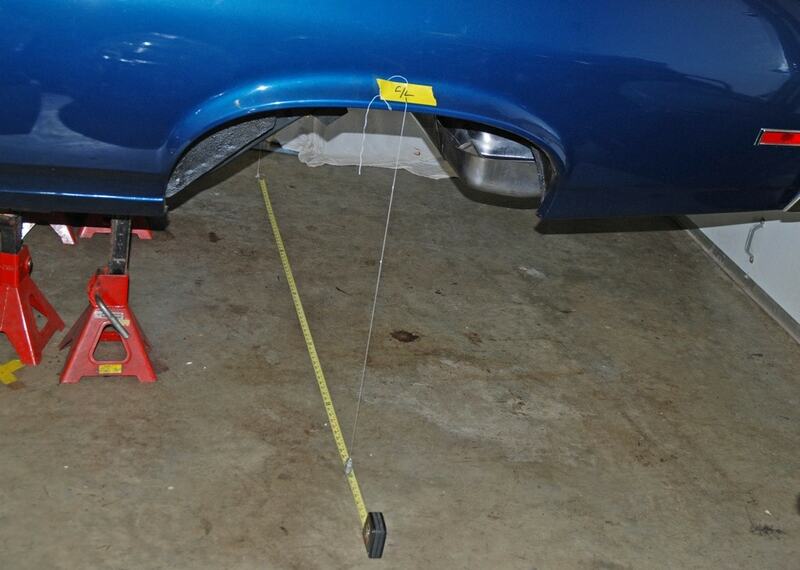 Run a tape measure from one plumb line to the other (on each side of the car). Overall, our Nova measures 72.40 inches wide. And if you’re wondering why we didn’t measure from the inside wheel lip on each side, its because we’ll take clearance measurements into account later. 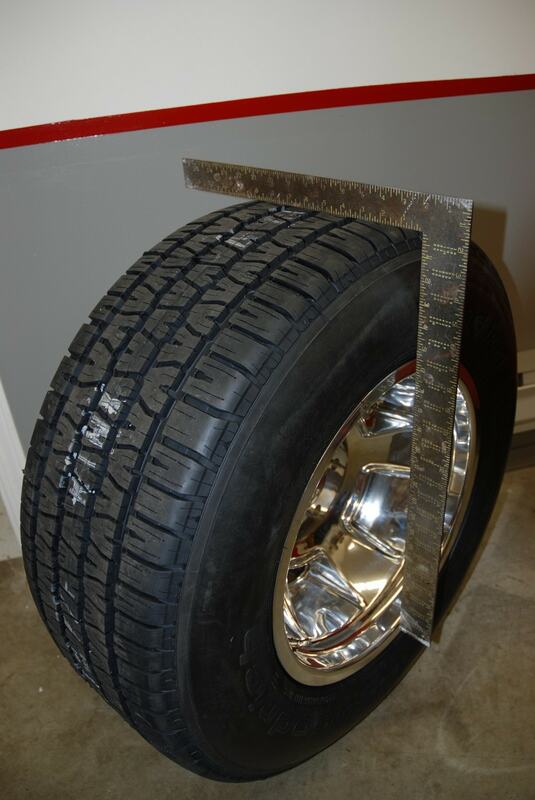 It’s a good idea to hang a square over the tire to determine overall width. It’s pretty easy on a square-shouldered radial like this, but the same process works on a bias-ply tire too (you might need a second set of hands). 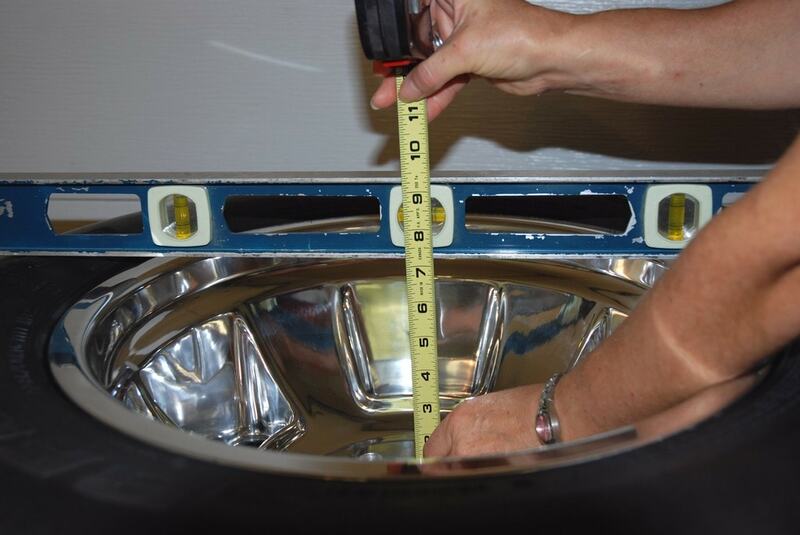 The mounted tire is just over 12 inches in width (sidewall bulge dimension). When this figure is compared to the tire company dimensional data, the numbers prove to be a long ways off (they claim 11.4 inches for the section width). 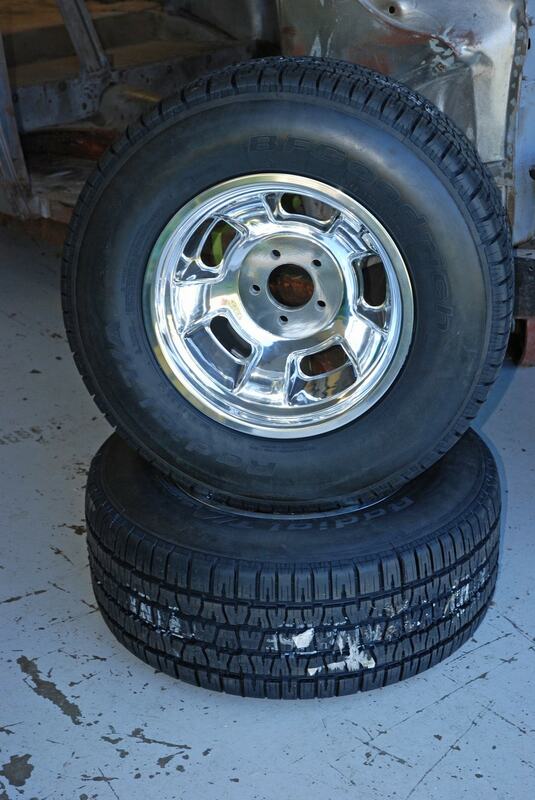 There’s a catch: The tire specs assume the tire is mounted on an 8.5-inch wide wheel. These wheels are 10.00 inches wide. The extra inch and a half in wheel width stretch the tire out a bit more. The point is, you really can’t use printed tire dimensional data when it comes to rear end housing measurements. Instead, measure the rolling stock you intend to use. Next up, you have to get the dimension from the wheel mounting surface to the tire bulge on the curb or outboard side of the wheel-tire. 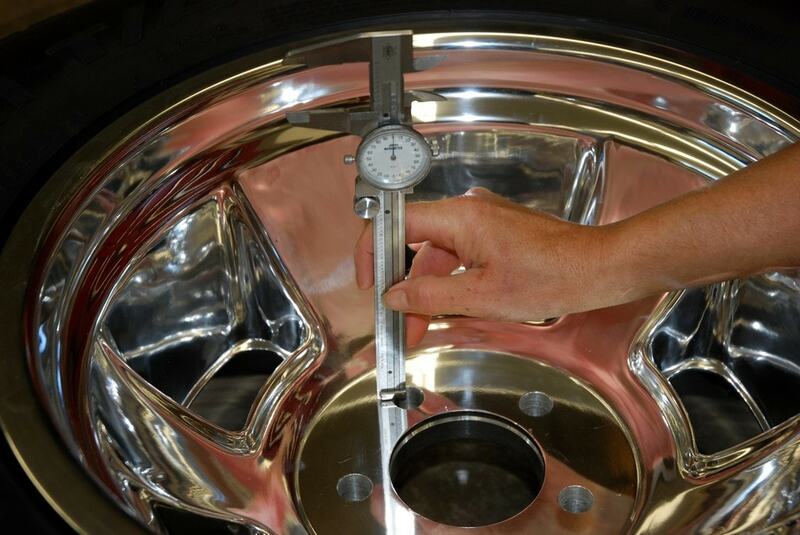 There are two methods you can use to check the wheel face dimension. 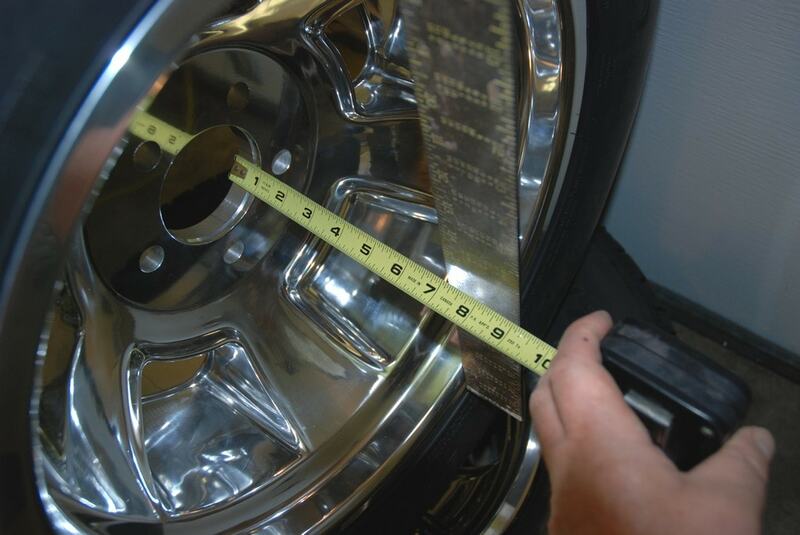 The first photo shows the tape measure stretched from the wheel mount flange (the part where the brake drum or the disc brake hat meets the wheel) to the bulge, using a carpenter’s square. This photo shows another way to do it: Simply place a straight edge over the tire bulge and measure down to the wheel mount flange. Write down the number (in this case, it’s actually 7-3/16 inch). 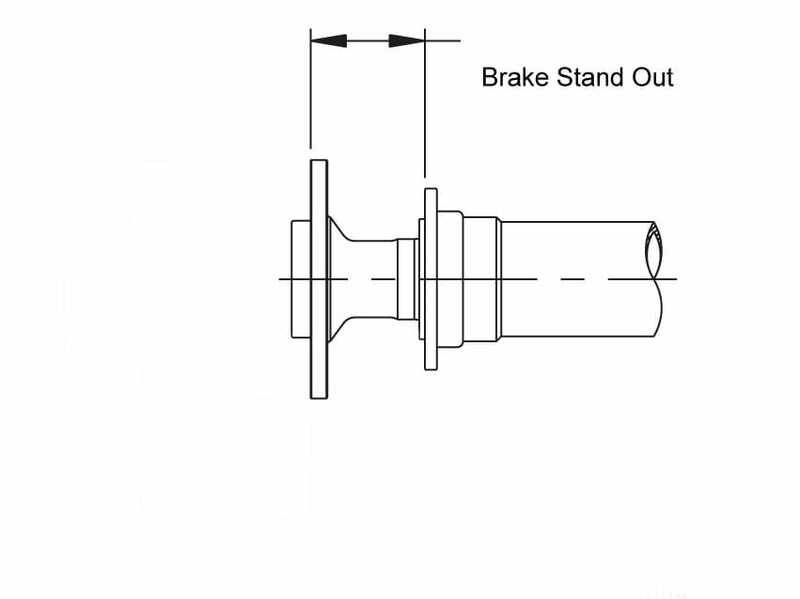 •	Mopar Ends - 2.500"	•	GM 10-12 bolt Ends - 2.812"
Double-check these dimensions with your brake supplier. If the plan is to use a drum setup out back, take into account the drum width along with the backing plate thickness dimensions. 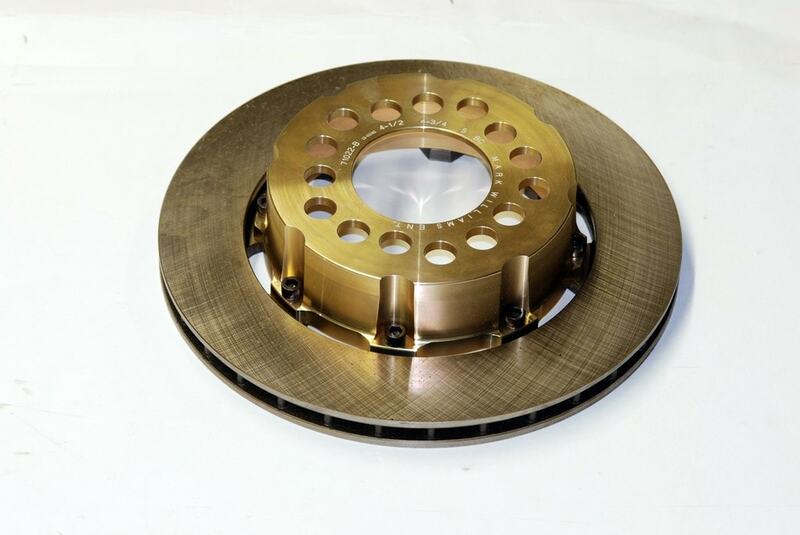 There’s more to brakes: When measuring for a rear end, you have to consider the actual thickness of the drum or the disc brake hat. Mark Williams notes that a typical iron drum measures in the 0.100-0.125 inch range, while disc brake hats such as those manufactured by M-W have a hat thickness of 0.250 inch. Measure yours and write down the number. Several things have an effect upon the clearance between the curb side of the tire and the inner fender. Not the least of these is the length of the wheel stud coupled with the thickness of the wheel at the mount flange. Case-in-point is the wheel stud. 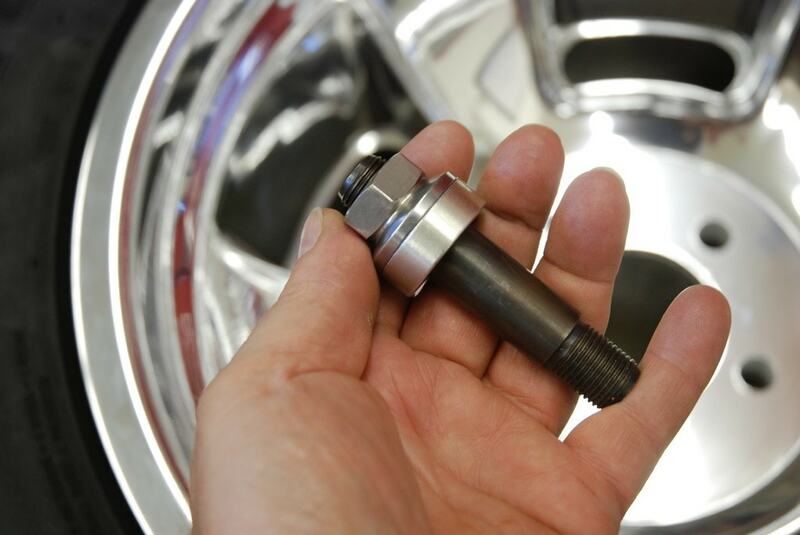 These are actually “drive studs”, where the actual stud drives the wheel, not the shank of the lug nut. In our case, the drive studs measure 1.250 inches in length. Meanwhile, the wheel has a center flange thickness of 1.00-inch. That means there must be 2.250 inches of clearance between the curbside of the wheel and the inner fender to allow for wheel removal. 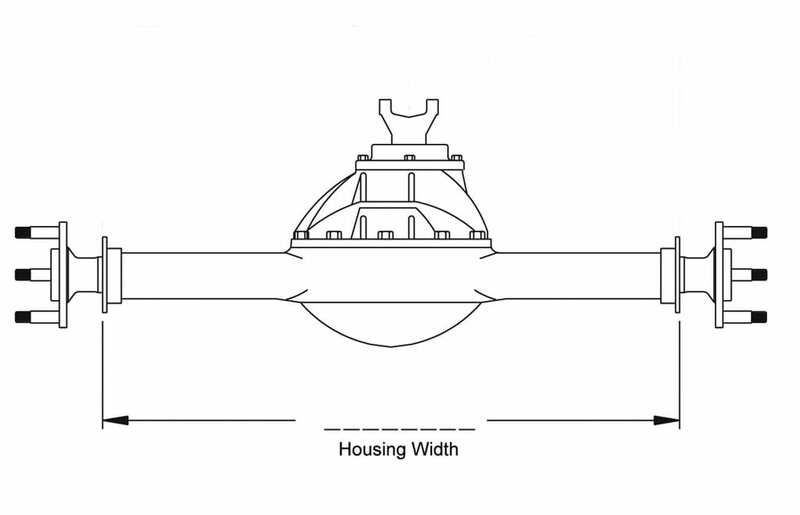 The trimmed wheel well lip in the back quarter measures 0.500 inch per side. That means we have a minimum clearance figure of 2.75 inches per side. We’ll add an extra quarter inch for a fudge factor. 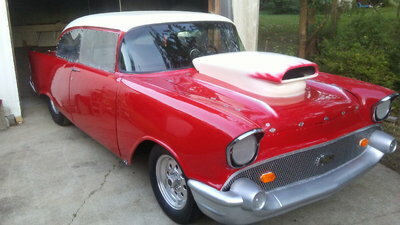 With the wheel installed, this also provides room to clear the curvature of the back fender. (Credit Mark Williams Enterprises): Many production cars do not have centered engines. They’re often offset toward the passenger side of the vehicle. To compensate, the pinion in these applications is also offset (for example, in some later model Fords, the offset is just under 1.00 inch). That means the passenger side axle is shorter than the driver side axle. 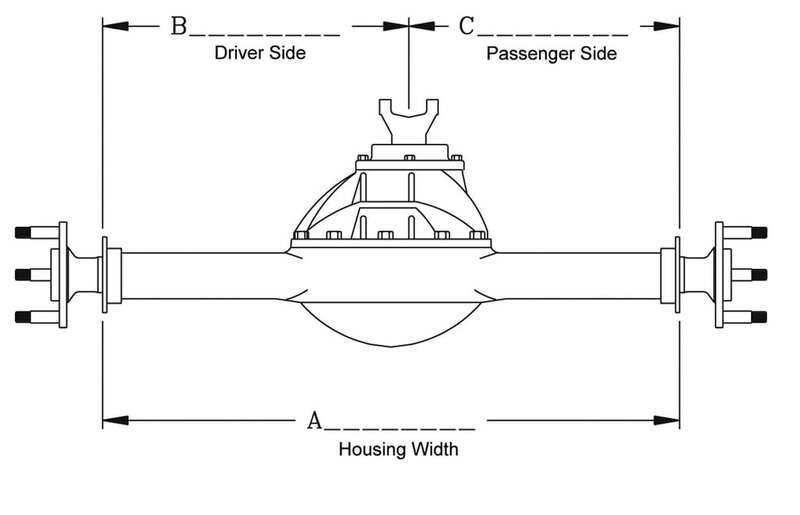 By the way, Mark Williams points out that an offset to the passenger side is normal, but a situation where the pinion is offset to the driver’s side is abnormal. George Cathey at Pro Designs echoes that comment, but goes on to point out that in a racecar application or one where the driveshaft is very short, the pinion should be centered. That means the housing is constructed in such a way that the offset is taken into consideration. The bottom line here is, it’s not a good idea to the have the driveshaft angle skewed in the car.